Support for a second Brexit vote is growing. 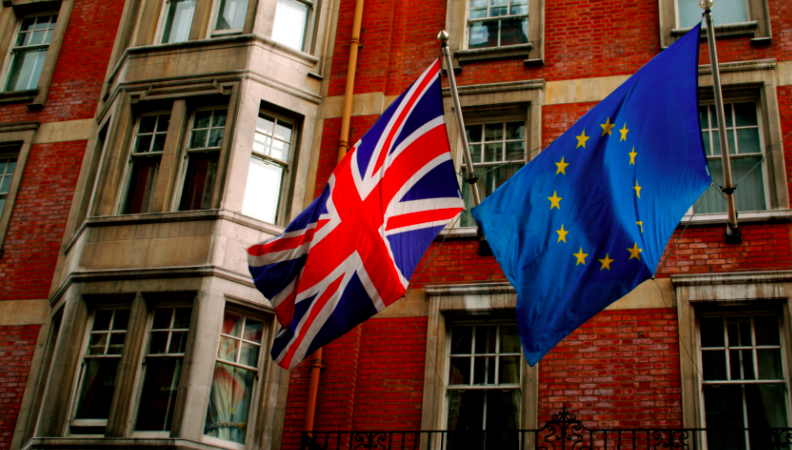 Is another referendum becoming inevitable? 74 per cent of Labour Party supporters back a referendum in the event of hard Brexit, an increase from 70 per cent last month. Public backing for an in-out referendum in the event of a ‘no deal’ Brexit is growing according to our latest polling. And with even Nigel Farage suggesting another vote, a second referendum may be becoming inevitable. 57 per cent of those polled said they’d support a second referendum in the event of a ‘no deal’ exit from the EU, up from 54 per cent last month. This figure was 74 per cent amongst Labour Party supporters, an increase from 70 per cent last month. Whilst 81 per cent of SNP and Lib Dems support a second vote. And additional calls for a second vote came from an unlikely quarter last week, when former UKIP leader Nigel Farage said he was getting himself “mentally ready” for the “possibility” of another Brexit vote. Following Farage and Banks’ remarks, bookmakers quickly slashed their odds of a second poll before 2019 to 5-1. Jeremy Corbyn ruled out a second Brexit vote last week, but with the tide increasingly flowing in the other direction – inside and outside his own party – now may be the time for Labour to reconsider. With factions within the Leave campaign possibly already preparing for a second vote, the Remain campaign and Labour, at the very least, should start developing their own plan for such an outcome. BMG Research interviewed a representative sample of 1,513 UK adults online between 9th & 12th January. Data are weighted. BMG are members of the British Polling Council and abide by their rules. Labour has managed to avoid the downsides of making a decision about Brexit. As the Brexit negotiations turn to dust, there will probably have to be a second referendum. Without one so many of the Leave voters would see this as yet another power grab by the Westminster/Remain elite. However Labour will continue to benefit by appearing to be on the fence (which I think is where many of the leadership team seem comfortable at present). There are advantages in that (see: http://outsidethebubble.net/2018/01/04/labour-must-rethink-its-brexit-strategy/). Only then does it make sense to come out clearly and firmly against Brexit. All the things going wrong at present (NHS, social services, education, not to mention Carrillion) and so much other evidence of how the present government is completely dysfunctional. The time between now and when that decision has to be made must be used to build up Labour support electorally. Once it becomes clear that Theresa May and her merry team have deeply failed to negotiate a satisfactory Brexit then a leadership change and very likely a general election would be inevitable. A third referendum is not even likely. The Federasts don’t trouble the government or anybody else. They are clicktivists who think that signing an online petition or taking part in a survey is somehow helping their cause. They are wrong, but it is entertaining to watch them. The Great Repeal Bill has just tonight cleared the Commons with only one amendment accepted to it. Now it goes to the Lords and no doubt the Federasts, having told us how radical they are, will hope that the unelected chamber does what they didn’t have the bottle to do which is to try and stop Brexit. If they do, then we Brexiteers will give an object lesson in how to demonstrate to our contemptible enemies.